PLEASE REMEMBER THAT VOLUNTEERS ARE THE BACKBONE OF EVERY ANNAPOLIS STRIDERS RACE AND PROGRAM. After helping out at a race, have you ever wanted to be more involved but not sure what to do? 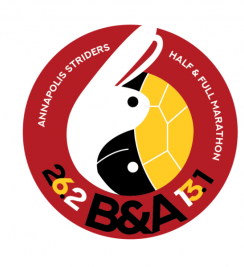 Want to know more about what else the Annapolis Striders do besides hosting amazing races? face-to-face then followed up with email meetings. 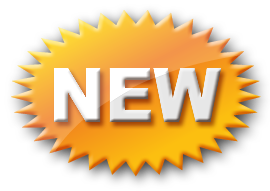 If you want to learn more or give it try, please come to our next board meeting on May 14th at 7pm on the 7th floor of Belcher Pavilion at AAMC. Denise Hyde and Karsten Brown! 2nd Leg of the Championship Series. If you are registered for the Championship Series, you are good to go! Volunteers are still needed! Please contact Noreen! This is a fast and flat scenic 3.6-mile loop, primarily on packed dirt paths around Greenbury Point across the Severn River from the U.S. Naval Academy. 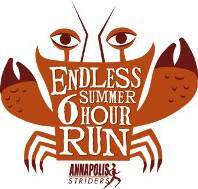 Annapolis Striders members need to use code “EndlessSummer9” in order to receive a $10 discount on registration. There is a price increase on April 15th. New this year, we will be giving a finisher’s medal, along with the finisher’s 1/2 zip long sleeve tech shirt. The Annapolis Striders are now looking for volunteers to step up and learn the timing process. This job is interesting and important. Interesting, because it allows you to see the entire field of runners cross the finish line in every condition, from completely exhausted to totally unfazed, and everything in between. But also extremely important! If we don’t have a finish line and timing crew, we don’t have a race! So please give it a try. Interested members please contact Dan Symancyk. The first race for the new crew would be the Cherry Pit 10-Miler in May. Annapolis Striders membership is required to participate in these training programs. There is no fee for the training programs but you must register. Please select hyperlinks for more information and registration. Spring 10K– Coached by David Dold, Amy Farkas Andrews, Delia Edelmann will begin training on Tuesday April 9, 2019 with the Dawson’s Father’s Day 10K as its target race on June 16, 2019. Spring Extra Mile – Coached by Elizabeth Whitfield Nabors, and Lee Crumbaugh will also begin training on Tuesday April 9, 2019 with the Dawson’s Father’s Day 10K as its target race on June 16, 2019. THANK YOU TO ALL THE COACHES! Location, location, location-please tell us your favorite spot-we are preparing for 2019!! 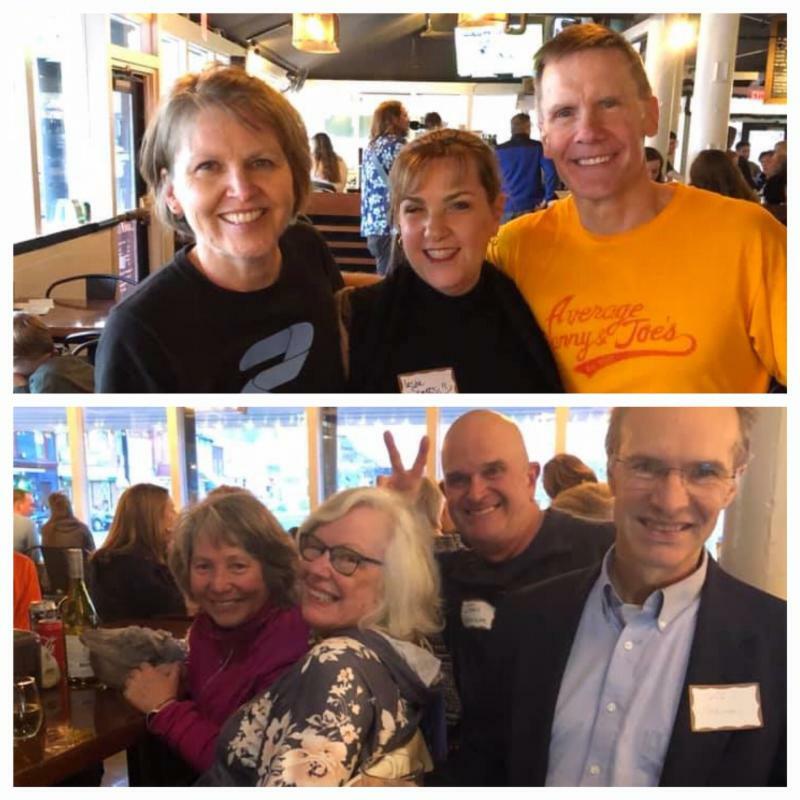 Save the Dates, 2019 Annapolis Striders Socials, 2nd Thursday of Each Month from 6:30pm-8:30pm with the locations to be determined: July 11, August 8, September 12, October 10, November 14 & December 12. Dan Mandeville has volunteered to lead runs for our socials!! 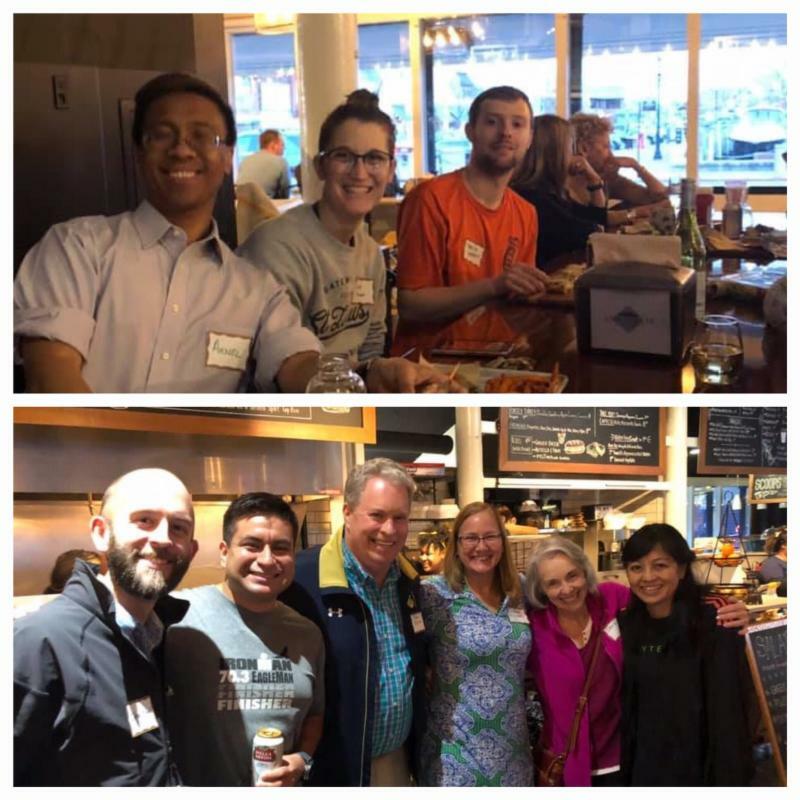 The Annapolis Striders March Social was held Thursday, March 14, 6:30-8:30pm at the Annapolis Market House, 25 Market Space, City Dock, Annapolis, Maryland 21401. We had approximately 30 folks and what an awesome party!! The music was great, the food and oh the company we keep. Just perfect on a perfect Annapolis night. Thank you everyone for joining us; thank you to Sandy Guntert Kellstrom for your location suggestion and Cherish Brooks, Manager, for reserving our space. Photographs courtesy of Leslie Sparks. Thank you to Ms. Laney, Catering Manager, for reserving our space. 6:30-8:30pm-meet us at Krissy & Brian Robinson’s house, 1919 Sleepy Hollow Lane, Annapolis, Maryland, 21401. Krissy and Brian are very excited to host the Annapolis Striders May social at their recently renovated home. The Robinsons will provide food and drinks. Please bring beer and/or wine of your choice. Plenty of street parking and if desired, Brian will provide running routes for those interested. 5-7pm-interested in an adult beverage or light snack, please visit our guest bartenders in the bar area. Welcome bartenders: Eva Coale, John Bloom, and Lee Crumbaugh. 5-8:30pm-interested in dinner, please make your dinner reservation at 410-424-0922. Thank you and shout out to fellow Annapolis Strider and Catering Manager, Marie Friedland for reserving our space and including us in with their ‘Guest Bartender’ event. The Salisbury Marathon/Half Marathon/5K Race will be held Saturday, April 6th, 2019 at Salisbury City Park in Salisbury, MD. These flat-as-a-pancake courses are USATF certified, so if you have your eyes on Boston or NY, the organizers have just the qualifier for you! 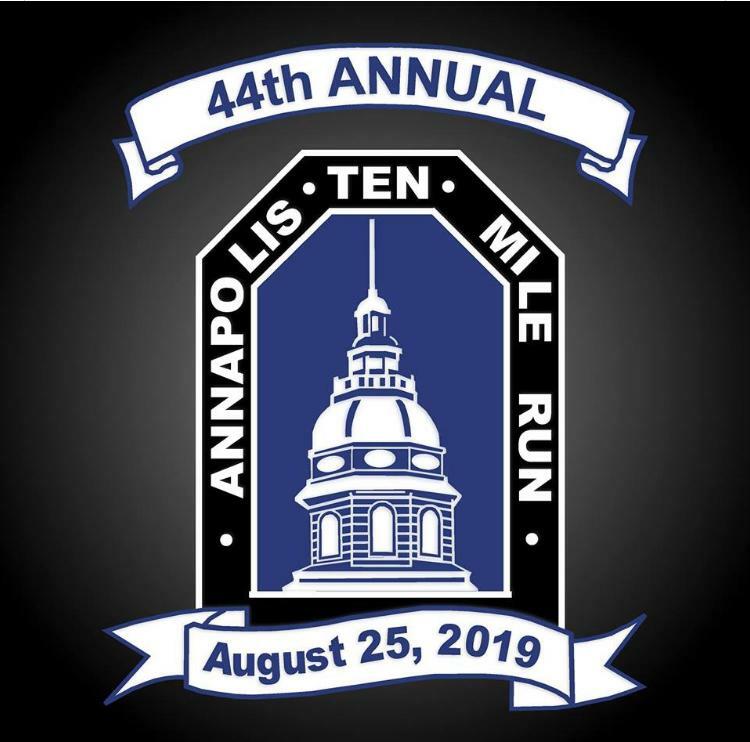 There is a 10% discount for Annapolis Striders members STRIDERS2019. Saturday, April 13th, 2019 at the Cape St. Claire Elementary School. The Cape St. Claire Parent Teacher Organization (CSC-PTO) is dedicated to supporting the education and well being of the children in attendance at the Cape St. Claire Elementary School, and also to supporting the efforts of their teachers and families. To that end the organization raises funds, organizes social events, sponsors enrichment programs and coordinates volunteer efforts. ALL funds earned will go to the two foundations we are sponsoring this year along with 1 cadet receiving a scholarship. The first foundation is The Well in Curtis Bay MD, The Well is a community of women committed to transforming lives through long-term relationships, practical programs and the healing power of love. The second foundation is Gigi’s Playhouse in Annapolis MD. Gigi’s Playhouse was created to change the way the world views a Down syndrome diagnosis and send a global message of acceptance for all. The Marines will be holding a combat fitness test, HITT instructors will be onsite as well as a rock wall and an obstacle course. Vendors and concessions will be available throughout the day. The Junior League of Annapolis will hold the 12th Annual Jennifer Summers Barrett Memorial Volunteers on the Run 5K on Sunday, April 14th, 2019 at Quiet Waters Park in Annapolis. Open to the public, the proceeds from the race benefit the community programs of JLA. This includes JLA’s work with the Anne Arundel County Partnership for Children, Youth and Families to establish a Community of Hope in Brooklyn Park, and the Coaching for Life partnership with Serenity Sistas, which supports women in recovery from alcohol or substance abuse, providing them with a chance to re-enter life. 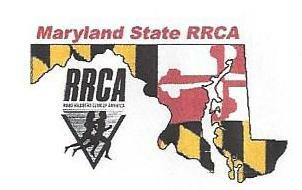 The 2019 Riva 5K Run and Walk will be held Saturday, April 27th, 2019 at Reichardt Park in Annapolis Landing, Riva, Maryland. The One Love Club of Annapolis High School will hold its Annapolis Runs for Love 5K/1 Mile event on Saturday, April 27th, 2019 at Annapolis High School. One Love was founded in honor of Yeardley Love, a 22-year-old college student who was killed by her ex-boyfriend. After her death, the family started the One Love Foundation to educate young people about the difference between healthy and unhealthy relationships. Ol’ Greenway on Saturday, April 27th, 2019 in Cumberland, MD. This event is a fundraiser for a stadium in Cumberland, MD, that was built by the WPA in 1936. It has been utilized by local student athletes continuously since that time. The proceeds will go into an endowment created to improve and maintain the stadium for generations to come. Many people who have fond memories of Greenway reside in the Baltimore area and we hope they will want to take part. It is timed by the Queen City Striders and is RRCA sanctioned. The Mount Harmon Earth Day 5K Cross Country Run/Walk will be held Saturday April 27th, 2019 in Earleville, MD. This event is in celebration of Earth Day and nature at Mount Harmon. The Earth Day 5K Run/Walk cross country course will traverse some of the region’s most beautiful natural surroundings and feature trails along Mount Harmon’s scenic and historic waterfront. The Belvedere Elementary PTA’s 13th Annual 5K and 1 Mile Fun Run will be held Saturday, May 4th, 2019 at Belvedere Elementary School in Arnold, MD. The Belvedere Elementary School PTA sponsors the “Spring Into Fitness” event to promote a healthy and active lifestyle for all families in our community. All race proceeds will be used for school assemblies! The 2019 Race for Hope – DC will be held Sunday, May 5th , 2019 in Freedom Plaza in Washington, DC. The Race for Hope-DC, a 5K course in the nation’s capital, is a fun and inspiring way to join forces in the fight against brain tumors by raising funds for research. It is one of the largest fundraisers in the country benefiting the brain tumor community and the proceeds support the National Brain Tumor Society. June 1st, 2019 in Easton, MD. Riders can choose a 25, 50 or 62.5 mile route. The second annual SOAR FOR VETERANS cycling event celebrates our nation’s veterans and raises funds to support the Mid-Shore Recovering Veterans Group (MSRVG), a a 501 (c)(3) non profit organization. By providing wheelchairs, handicap ramps and transportation, to also engaging veterans in positive extracurricular activities, Mid-Shore Recovering Veterans Group is a lifeline for veterans needing support that traditional funding sources can’t provide. Funds raised go directly to support veterans through the Mid-Shore Community Foundation. Hunt Meadow Swim Team’s Family and Friends 5K-Run Like A Mustang Race will be held Sunday, June 2nd, 2019. Please join the group for a fun 5K run through the lovely Hunt Meadow neighborhood. This race benefits the children’s summer swim team, The Hunt Meadow Mustangs. The race will start and finish at the community pool parking lot. The Kiwanis Club and Foundation of Crofton, Maryland sponsors an Annual 10K race that covers the beautiful tree-lined terrain of Crofton. The race includes some light hills but is mostly a flat course. Medals are given for the top 3 runners overall and first place male and female finishers in 19 age/gender categories. Short sleeve technical shirts are given to the first 300 entrants. Food, drink and other giveways from our sponsors are available at the finish line. Electronic timing is used and results are posted within 8 hours. The University of Maryland Greenbaum Cancer Center is hosting an event of a kids run, 5K and half marathon on Saturday, June 8th, 2019 in Fulton, MD. The event benefits the care of future patients. As the Annapolis Striders Winter Half Marathon training program wrapped up for the season, you may have noticed a man running in a mask. That was Al Guerieri, He was treated for a blood disorder, myelofibrosis, at the University of Maryland Greenbaum Cancer Center where he met some of the most caring and kind medical support and staff. Al invites you to join him. If you want to run on the same team as Al (Bone Marrow Transplant), select “Join a Team” and then select “BMT TEAM captained by Emily Smith”. May 14th, June 4th, July 2nd, August 6th, September 3rd, October 1st, November 5th, December 3rd. This entry was posted in E-Streak and tagged Announcement on April 11, 2019 by Patti Heisman. 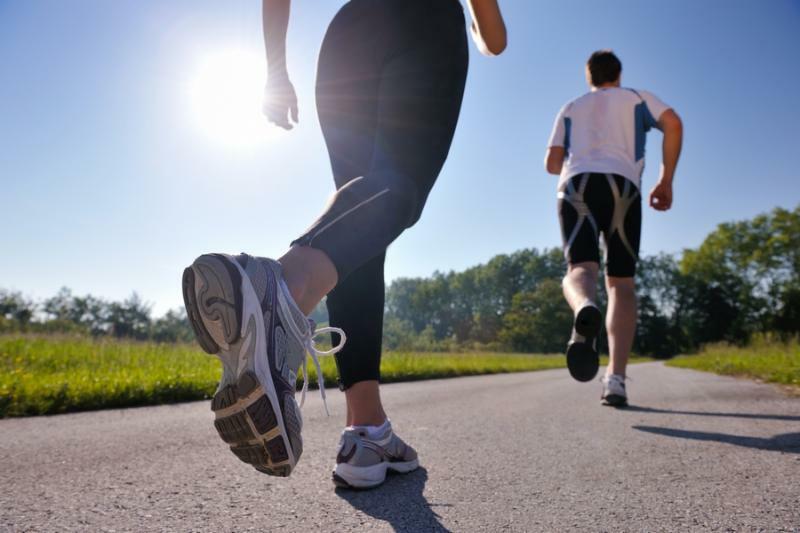 The Annapolis Striders are now looking for volunteers to step up and learn the timing process. This job is interesting and important, which is why Al, Bob, and Whitey kept at it for so long. Interesting, because it allows you to see the entire field of runners cross the finish line in every condition, from completely exhausted to totally unfazed, and everything in between. But also extremely important! If we don’t have a finish line and timing crew, we don’t have a race! So please give it a try. Interested members please contact Dan Symancyk (dan@annapolisstriders.org). The first race for the new crew would be the Cherry Pit 10-Miler in May. This entry was posted in Volunteer and tagged Announcement on December 16, 2018 by webmaster.